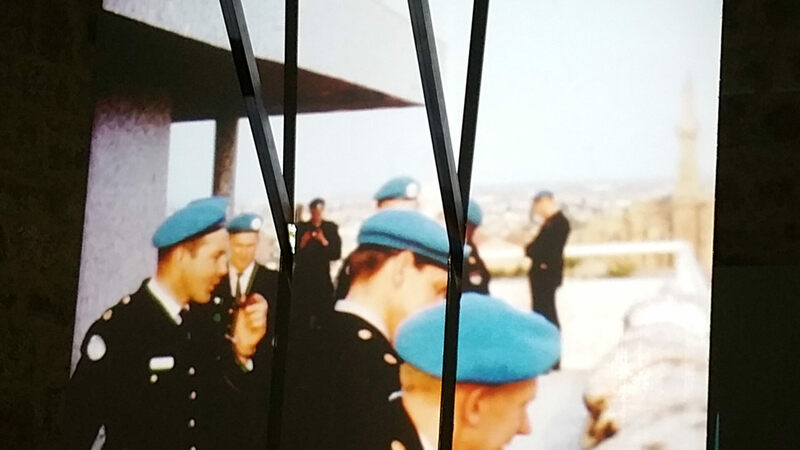 The United Nations Peacekeeping Force (UNFICYP) has been present in Cyprus since the United Nations Security Council Resolution 186 was passed following the outburst of intercommunal violence after the establishment of the Republic of Cyprus in 1960. Since then, the presence of the men and women of UNFICIP has provided a piece for the mosaic of memories that form the troubled cultural memory landscape of Cyprus. 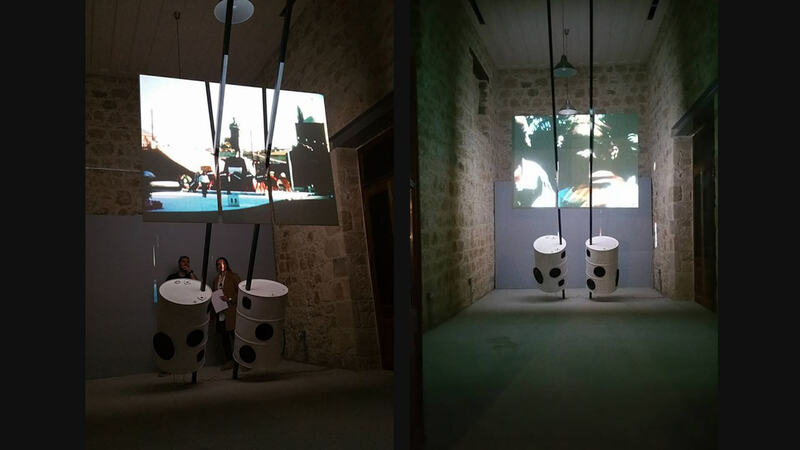 Klitsa Antoniou’s installation ‘Hits of 64’ positions the presence of the UNFICYP firmly within this colourful mosaic. Their presence, often passed unnoticed and almost ghostly in their white and blue vehicles, is given a voice with the film memories of Tommy Nilsson. 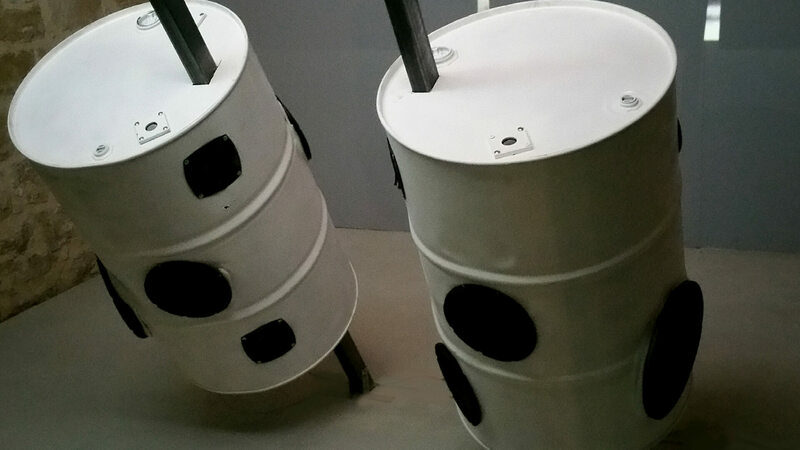 The visual memories are juxtaposed to the popular music of 1964 which is played through speakers embedded in barrels similar to the ones used by the UNFICYP across the buffer zone that they patrol and divides the island thus materialising the presence of the memories that flicker on the screens. 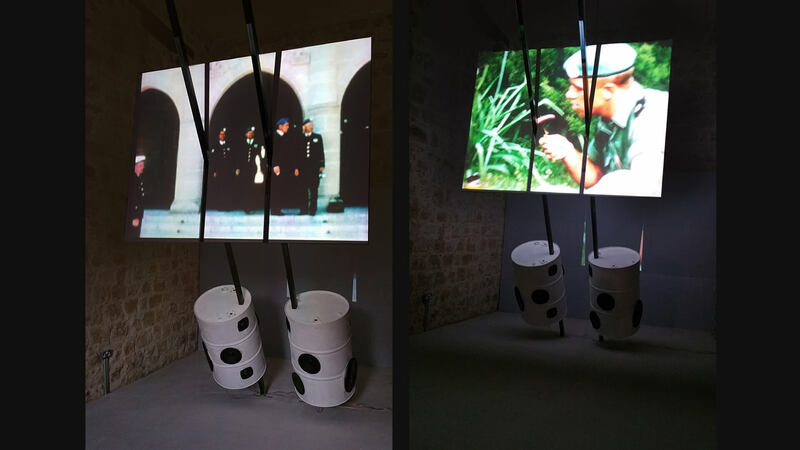 For Nilsson, this materialisation of his memories is important because it is only through the films that he could recall the year he spend on the island and Pafos in particular. This grounding of his memories is also present in his revisiting of Pafos years later. His insistence in locating the 'Olympus' hotel were they were stationed in 1964 starts unraveling memories long forgotten. 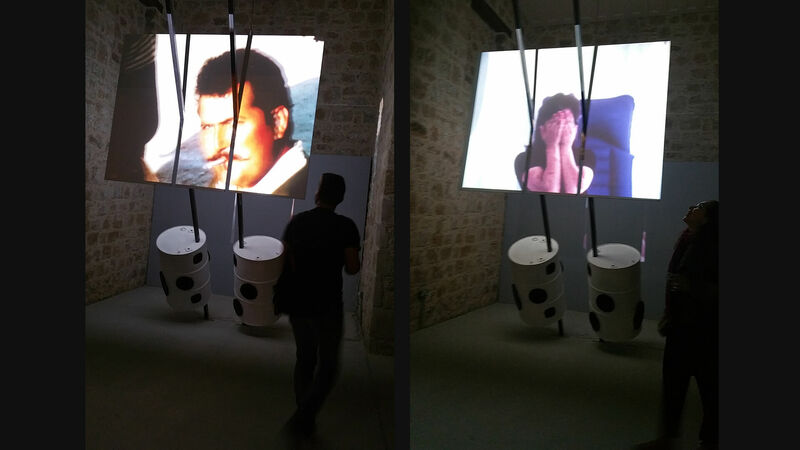 This recall is an embodied recall that Antoniou's installation conveys to the visitor through her multi-sensorial work that also asks us to (re)-visit 1964 and through the eyes of an outsider/insider feel the mosaic that forms or memories.